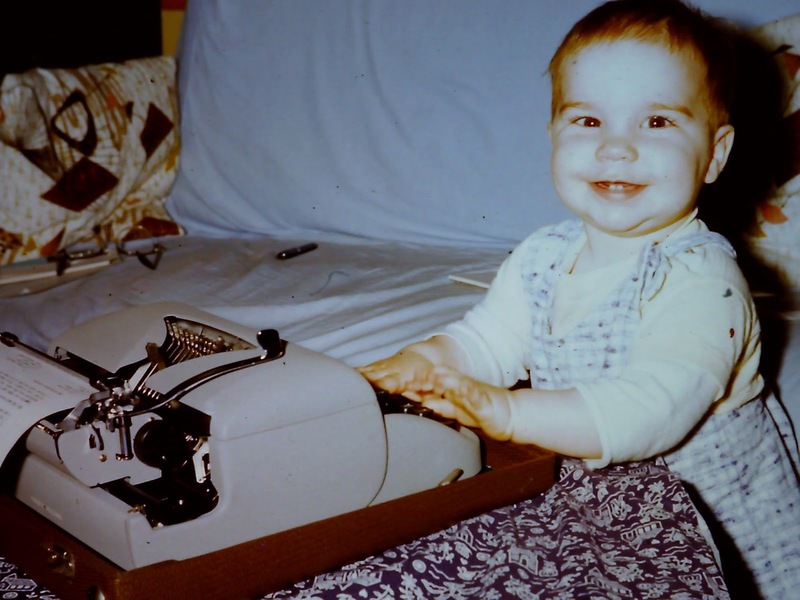 May 20, 2017 – Mister Journalism: "Reading, Sharing, Discussing, Learning"
Today I turn sixty, so it’s time form one of those posts. These are the rules. Mind you, they are not a sign of any particular wisdom or smartitude on my part– I have learned about these rules in the same way a somewhat dim cow learns about an electric fence. There is no excuse for being mean on purpose. Life will provide ample occasions on which you will hurt other people, either through ignorance or just because sometimes life puts us on collision courses with others and people get hurt. There is enough hurt and trouble and disappointment and rejection and hurt in the world; there is no reason to deliberately go out of your way to ad more. You are not necessarily going to be great. But you can always be better. You can always do a better job today than you did yesterday. Make better choices. Do better, You can always do better. Words matter. Do not use them as tools with which to attack the world or attempt to pry prizes out of your fellow humans (see Rule #1). Say what you understand to be true. Life is too short to put your name to a lie. This does not mean that every word out of your mouth is some sort of Pronouncement from God. Nor does it mean you must be unkind. But you simply can’t speak words that you know to be untrue. Do not seek comfort or confirmation. Do not simply look for ways to prove what you already believe. Seek to understand, and always be open to the possibility that what you knew to be true yesterday must be rewritten today in the light of new, better understanding. Ignoring evidence you don’t like because you want to protect your cherished beliefs is not good. 5. Listen and pay attention. Shut up, listen, watch, and pay attention. How else will you seek understanding? Watch carefully. Really see. Really hear. People in particular, even the ones who lie, will tell you who they are if you just pay attention. Your life is happening right now, and the idea of Special Moments just tricks us into ignoring a million other moments that are just as important. You are the recipient of all sorts of bounty that you didn’t earn. Call it the grace of God or good fortune, but be grateful for the gifts you have been given. You did not make yourself. Nobody owes you anything, but you owe God/the Universe/fate everything. I have been hugely fortunate/blessed/privileged; I would have to be some sort of huge dope to grab all that life has given me and say, “This is mine. I made this. It’s all because I’m so richly deserving.” I’ve been given gifts, and the only rational response I can think of is to be grateful. 95% of life is silly foolishness that humans just made up and then pretended had some Great Significance. Only about 5% really matters, has real value. Don’t spend energy, worry, fret, concern, time, stress on the other 95%. The trick is that every person has a different idea of what constitutes the 5%. 8. Take care of the people around you. “What difference can one person make” is a dumb question. It is impossible for any individual human to avoid making a difference. Every day you make a difference either for good or bad. People cross your path. You either makes their lives a little better or you don’t. Choose to make them better. The opportunity to make the world a better place is right in front of your face every day; it just happens to look like other people (including the annoying ones). If you’re going to do it, do it. Commitment lives on in the days when love and passion are too tired to get off the couch. Also, commitment is like food. You don’t eat on Monday and then say, “Well, that takes care of that. I don’t need to think about eating for another week or so. ” Commitment must be renewed regularly. While I recognize there are successful people who ignore this rule, this is my list, so these are my rules. And my rule is: Stop talking about how hard you’re working or what a great job you’re doing or what tremendous obstacles you’re overcoming. In short, stop delivering variations on, “Hey, look at me do this work! Look at me!” Note, however, there is a difference between “Hey, lookit me do this work” and “Hey, loo at this important work that needs to be done.” Ask the ego check question– if you could don the work under the condition that nobody would ever know that you did it, would you still sign up? If the answer isn’t “yes,” as yourself why not. Do not assume that everyone who disagrees with you is either evil or stupid. They may well be either, or both– but make them prove it. People mostly see themselves as following a set of rules that makes sense to them. If you can understand their set of rules, you can understand why they do what they do. Doesn’t mean you’ll like it any better, but you may have a basis for trying to talk to them about it. And as a bare minimum, you will see yourself operating in a world where people are trying to do the right thing, rather than a hostile universe filled with senseless evil idiots. It’s a happier, more hopeful way to see the world. But yeah– there are still evil dopes in the world. 12. Don’t waste time on people who are not serious. Some people are just not serious people. They don’t use words seriously. They don’t have a serious understanding of other people or their actions or the consequences of those actions. They can be silly or careless or mean, but whatever batch of words they are tossing together, they are not serious about them. They are not guided by principle or empathy or anything substantial. Note: do not grimness for seriousness and do not mistake joy and fun for the absence of seriousness. 13. Don’t forget the point. Whatever it is you’re doing, don’t lose sight of the point. Don’t lose sight of the objective. It’s basic Drivers Ed 101. If you look a foot in front of the car, you’ll wander all over the road. If you stare right at the tree you want to miss, you will drive right into it. Where you look is where you go. Keep your eye on the goal. Remember your purpose. People grow up. People learn things. People have a day in which their peculiar batch of quirks is just what the day needs. Nobody can be safely written off and ignored completely. Corollary: nobody can be unquestioningly trusted and uncritically accepted all the time. People are a mixed mess of stuff. Trying to sort folks into good guys and bad guys is a fool’s game. Doors will appear on your path. Open them even if they are not exactly what you were expecting or looking for. Don’t simply fight or flee everything that surprises or challenges you (but don’t be a dope about it, either). Most of what I’ve screwed up in life came from reacting in fear– not sensible evaluation of potential problems, but just visceral fear. Most of what is good about my life has come from saying “yes.” And most of that is not at all what I would have expected or planned for. Music, art, refurbished furniture, machinery. Something. Sixteen is kind of bulky to be a good listicle. And yet it will probably expand in the years ahead, because there’s always more to figure out. Education students at Northern Arizona University believe the best way to disrupt the school-to-prison pipeline is before it gets started-at the schools of education that train tomorrow’s teachers. US Education Secretary Betsy DeVos has insulted educators, rolled back student protections, threatened to take scarce money from public schools for private school vouchers, and all too often lived up to the widespread perception that she is woefully unqualified to lead the nation’s public school system. Michigan ArtShare is pleased to announce this opportunity for artists in Michigan. Michigan ArtShare is creating a “Looking-At-Art-Images” education program named ArtShare, utilizing a ‘critical thinking practice’ called Visual Thinking Strategies (VTS). VTS is a facilitation method created by Phillip Yenewine, a former Director of Education at MOMA in New York, where viewers look at narrative-based images and interpret what they think is happening in the image. This facilitation method utilizes active listening, paraphrasing and observation to create a unique collaborative environment where viewers explore, investigate and problem-solve visual information. Michigan ArtShare is creating an art education program for 1st through 3rd grade viewers that will be available through Michigan State University Extension offices throughout the entire state of Michigan. The project goal is to use narrative images created exclusively by Michigan artists for the students to view using the VTS method, instead of using images from art history or other states or countries. This enables Michigan’s children to become more visually literate and creative problem solvers, and they will do so by looking at professional Michigan artist’s images and becoming more familiar with their work. The ArtShare education program will select 12 pieces of art for each grade (1st through 3rd) for a total of 36 pieces. Artists will receive a $250 stipend for each selected work to be included in the education program. Michigan ArtShare will accept applications for ArtShare through June 28, 2017. The ArtShare program will be launched in Detroit’s Brightmoor neighborhood in September of 2017 and will be made available through MSU Extension offices across the state of Michigan. To apply, please read the ArtShare Call for Art guidelines and then fill out an application form. ArtShare is a cooperative project of Michigan ArtShare and MSU Extension and is supported in part by the Michigan Council for Arts and Cultural Affairs Project Grant. also continues to contend with one of its timeless enemies: Railroads. The two have long vied for shares of the freight economy and fought pitched policy battles in Washington to create favorable conditions for their interests. Railroads, too, are staring down the barrel of changing technology. With automated railways proliferating around the world, the future increasingly seems to be one without drivers and conductors. In Montana’s special election, Democrat Rob Quist is taking the populist route, Republican Greg Gianforte aligned himself with Donald Trump. Shots have been fired in the campaign leading up to Montana’s May 25special election. Literally. , Gianforte accuses Quist of wanting to create a national gun registry on a “big government computer, making it easier for federal bureaucrats to grab your guns.” …read more. Source: In Montana, strong fundraising by Quist, but more outside help for Gianforte. Also, guns. More than six months after the election, the Trump campaign and JFCs are still answering questions from the FEC, filing amended reports and making refunds. We’ll stipulate that President Trump’s problems with the Federal Election Commission don’t rise to the highest tier of his concerns these days, not by a long shot. In his hierarchy of hazards, newly appointed Special Counsel Robert Mueller must loom rather large, while he might think of the FEC staff as a lowly mosquito — if he thinks of it at all. Much like the mosquito, though, the agency’s Reports Analysis Division finds any vulnerabilities, and is very hard to get rid of. Tell Congress to defend public education from Trump and DeVos’s hostile budget, and reject efforts to create federal incentives for school choice policies.